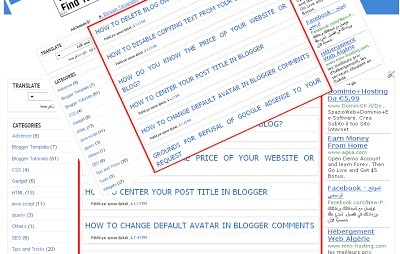 In this tutorial, how to show post title only in the Home page in your Blogger Blog. This a simple code works on show titles only and is not a title and post together, where the title appears on the home page of the blog just by clicking on it redirects to the main post, and to be able to install this code in your blog. Use Ctrl + F to find </head> and paste the following code above/before it. 5. Finally, click on Save the template.